Irrfan Khan was last seen in the award winning film, Piku. The actor received accolades for his exceptional performance in the movie and has been loved and appreciated by all. 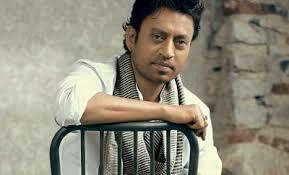 Irrfan is well known for featuring in content oriented cinema. The actor’s work talk’s for himself and he is well known in Hollywood alongside Bollywood. He will next be seen in Talvar. The movie is based on the Aarushi Talvar Murder case and showcases 3 investigations of the case where the actor is playing the role of a CBI officer. The actor generally goes indepth of each of his roles, but during talvar he wanted to get an insight of the entire case and all the characters linked to the case as the Aarushi Talvar murder mystery had really intrigued him. Irrfan wanted to collect and know every piece of information that was available and asked Meghna Gulzar and Vishal Bhradwaj to share all the information that they had gathered during the research. The method actor has an eye for detail and he took one month to prepare for his role by reading up all the research information provided to him. Recently, Talvar held its world premier at the Toronto International Film Festival where the film garnered a rousing response and the initial reviews of the movies are very strong and powerful. The movie is all set to release on 2nd October 2015. Talvar is directed by Meghna Gulzar and produced by Vishal Bhardwaj and Junglee Pictures. Apart from Irrfan Khan, Konkana Sen and Neeraj Kabi will be seen in lead roles as well.